jalapeno cornbread poppers | I'm Gonna Cook That! I’m about to get jalapeno business! 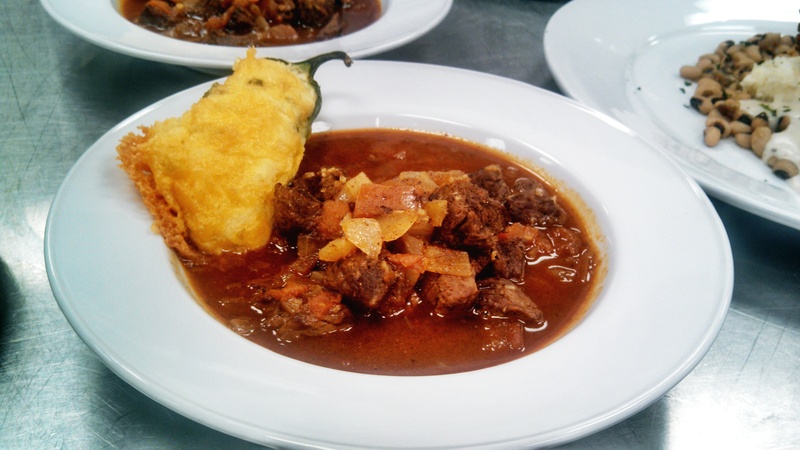 So, I was going to just do a post later this weekend, but I had the best week in the kitchen at school (it was Tex-Mex week and despite my initial misgivings, it was SO MUCH FUN!) and I had to share this with you all because it was so easy and delicious and you just have to try it. Did you hear me? HAVE. TO. I only have one picture, but here it is. It’s not the chili you need to be looking at, it’s that lovely jalapeno shaped thing on the side. That’s not just your typical jalapeno popper. It’s a jalapeno full of cornbread. 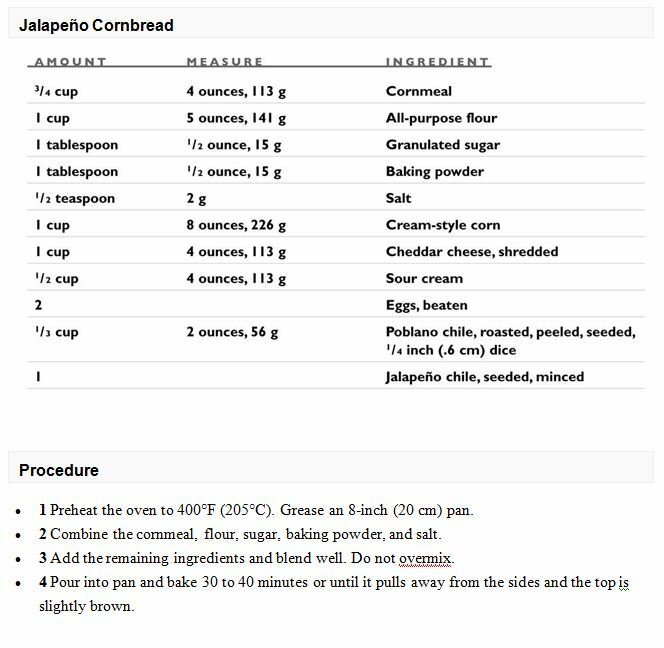 Yes, the cornbread goes INSIDE the jalapeno, and then you cover it with cheese and you bake it for 20 minutes and it’s just really effing delicious. I won’t blame you at all if you skip the pretense of garnishing a bowl of chili or soup or something, and just make yourself a tray of these and binge watch The West Wing on Netflix tonight. Maybe treat yourself to some really good beer, too. You deserve it. I wish I could claim all the credit for this genius invention, but I actually got the idea from Oh Bite It! They provide you a perfectly good cornbread recipe over there, but I’ll also give you the one we used in class. Customize it however you like. Or instead of stuffing jalapenos, go big and stuff the poblanos, instead. Use a different cheese. No matter how you do it, you are not going to be disappointed. Bring a buncha these to one of those Memorial Day cook-out things that social people with lives like to attend. If people aren’t bringing you beers and just generally being extra nice to you after trying one of these, you need to get new friends because those people are dumb-dumbs. Have a great Memorial Day weekend, ya’ll!